Sustainability, efficiency and product safety are among the top issues to be addressed with the latest packaging technology at PACK EXPO Las Vegas. The 2017 event is expected to host 30,000 attendees, including 5,000 international visitors from more than 125 countries, and 2,000-plus exhibiting companies that will span nearly 900,000 net-square-feet of an almost sold-out exhibition floor. Consumer awareness of the environment and their ensuing demand for sustainable products has prompted the packaging and processing industry to respond with sustainable initiatives in operations and packaging. 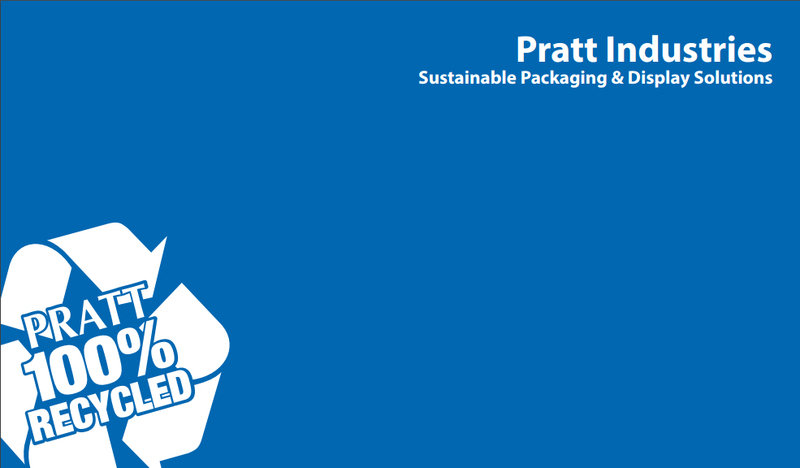 As the world’s largest, privately-held 100% recycled paper and packaging company, with more than 7300 highly-skilled, green-collar employees dedicated to the environment and sustainability, our Pratt Industries team is excited to see that this year’s expo will focus on sustainability. 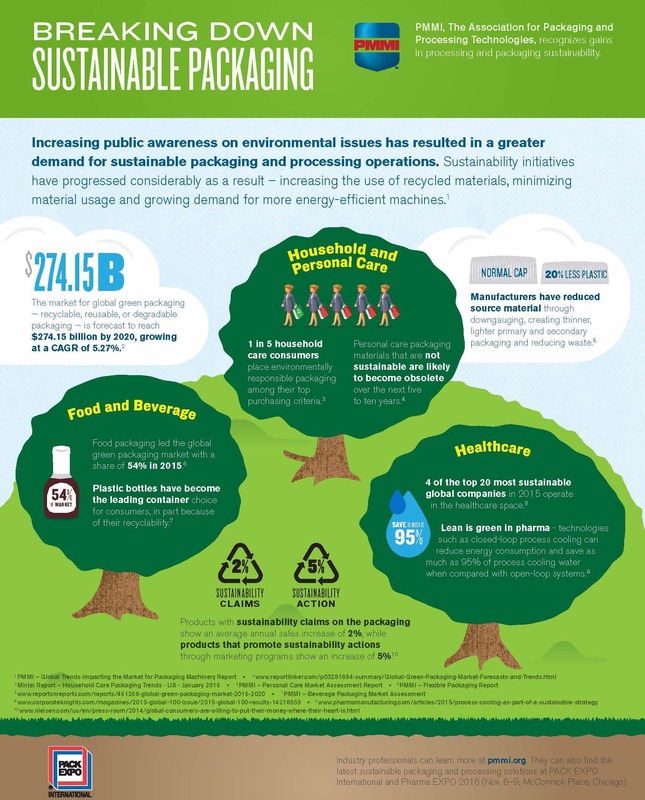 The following infographic created in 2016 by PMMI, The Association for Packaging and Processing Technologies who is hosting the event, breaks down packaging sustainability in a creative way and forecasts the global green packaging market to reach $274.15 billion by 2020! The show takes place September 25-27 at the Las Vegas Convention Center. Register to attend or learn more here.